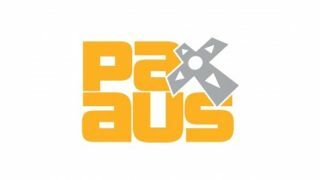 PAX Australia is done. The inaugural Australian expo saw geeks and gamers from around the world descend on Melbourne to taste the best gaming culture Australia had to offer. We've collected together a list of our top five moments from the show. Don't agree with our assessment? Feel free to let us know where we went wrong below. Yes, the era of truly interactive virtual reality is almost upon us. With developers and hardware manufacturers showing off the Oculus Rift headset to the crowds, while Oculus VR itself showed off its high definition prototype the digital gaming goggles captured the imagination of PAX-goers everywhere. Of course, we've still got no idea about when the consumer product will finally ship, but it doesn't matter. This thing is amazing, and once you've tried it, you'll be convinced that the future of gaming is going to be very immersive indeed. Despite the fact big gun gaming hardware companies like Asus and Alienware had a presence on the PAX floor, it was little-known Aussie manufacturer Venom that stole our attention with its stunning BlackBook Zero Pro ultrabook. Packed with the latest Haswell processor, 8GB RAM and a stunning QHD touchscreen display, the prototype is still two months away from retail, but showed enough to have us reaching for our wallet. If you're looking for a portable gaming laptop, it might be worth holding off to check this out once it gets an official release. As if there was any doubt. But getting up close and personal with the best indie games that Australia has to offer was a fantastic way of reenforcing just how talented the local industry is. With titles on all kinds of platforms, from PC to Xbox to iOS, there were titles to play for gamers of all genre-persuasions. We'd list the standouts, but the truth is that every single title impressed us. If you're looking for something different to play, do yourself a favour and try one of the locally developed titles that were on display at the show. Admittedly, we had no idea what was going on with this when we first laid eyes on it at PAX. People standing around, holding a Playstation Move controller, while music played in the background? But as soon as the rules for Johann Sebastian Joust were explained, it made sense. It's an incredibly simple, yet excitingly customisable party game that offers hours of high-tech fun. Honestly, the words here don't do the game enough credit. Just try and find a way to play it and you'll see what we mean. Yeah, we've looked at the Moga controllers or Android before, and they aren't exactly new. But seeing as how they now support Rockstar's GTA III and GTA Vice City, it's well worth paying attention to them. Essentially a Bluetooth controller for Android devices, the guys at PAX said that there's a good chance we'll see iOS support at some point in the future, although they gave no indication of a timeline. With iOS 7 introducing game controller support hopefully it's sooner than later. But having tried the controller out, it's definitely better than touchscreen controls on certain titles, especially ports of old console games. It's also going to make life much tougher for the likes of the PS Vita and Nintendo 3DS. Updated: The very first PAX Australia conference is over, with Australian gamers glowing from the community atmosphere that filled the Melbourne Showgrounds.